J. Schatzel works in agricultural/occupational medicine in rural upstate NY and has a master's degree in history. A positive pregnancy test can feel like an exciting new beginning, especially if you have struggled with infertility and gone to great lengths to make it happen. If you have had a previous miscarriage/baby loss however, that extra pink line on a test strip can open a Pandora’s Box of anxieties. While this is by no means a representative account on behalf of all moms-after-loss, it is my perspective. I hope that the following list of lessons I have learned can reassure others in a similar situation that they are NOT alone and offer a virtual hug of solidarity. What amazed me the most about having a miscarriage, was how alone I felt. Statistically, if 1 in 4 pregnancies end in miscarriage, why didn’t I know more women who had experienced it? As it turned out, I did know many women, who had lost pregnancies. They had, for their own variety of reasons, chosen not to share their experiences prior. I knew from the beginning that I was not going to bottle it up and hide miscarriage away like a dirty secret. As someone who had struggled with infertility, and spent years of failed hormone injections, IUI, IVF, and feeling completely isolated in the process, maybe I just didn’t have the remaining emotional capacity to bottle up any more pregnancy-related anxieties. I confided in some friends and relatives, and was amazed by the many who shared their own experiences with me. I learned quickly that support groups were not for me. There might be just the right group out there, but I never found it, and honestly found the process of looking more frustrating than it felt worth at the time. From church affiliated groups, to fertility clinic sponsored groups, to online support communities, I felt alone in the middle of a crowd. I didn’t want to sit in a circle and share my story and have a cathartic group cry. I didn’t want to scroll through an infinite online forum in which people shared their speculations for what obscure chromosomal abnormality their baby may have had. I didn’t want to read scripture about how blessed those are who mourn, and that this is all part of God’s plan for me. I didn’t want to sit in a guided meditation group and visualize my aura healing itself for the next pregnancy. I just wanted to sit with a friend, and be able to discuss a life experience without stigma. I didn’t want pity stares or sympathy tears. I just wanted a solidarity hug. I wanted to feel moral support from someone else who has had a similar experience. To my amazement, many were in the same boat (even if their loss had been years prior). While many reactions to my miscarriage were those of positivity and reassurance that there would be a “next time,” there were some reactions that made me question (albeit temporarily) the validity of my own emotions. “It’s not like you lost a real baby, it was still a fetus” was the reaction that shocked me the most. 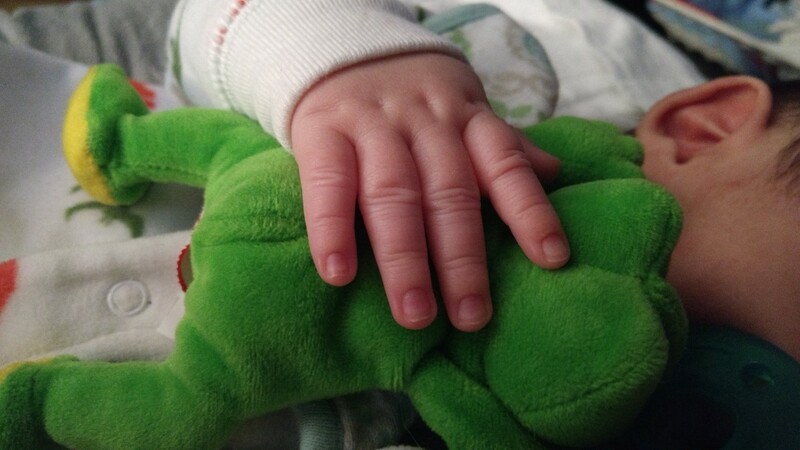 While that baby might not yet have been “real” to someone else, I had known that I was going to be that baby’s mom. I had precious time with that baby, long enough to know the due date, plan a registry, plan the logistics of daycare/carseats/work schedules, choose baby names, have the excitement of telling that first person that you are pregnant, and live 24/7 excitedly knowing that you have a baby you have waited/worked years to make happen. Then when that baby dies, and you not only have to mentally accept that change, but physically endure the process, it sure seems to be a real baby to me. I will always know the date they might have been born. I will always eat that piece of leftover birthday cake from my oldest child’s birthday the next day, knowing that that date might have been another of my children’s birthdays. I will always wonder what it would have been like with them here, and feel disappointed that I did not know their smile, hear their laugh, or hold their hand. I will always be disappointed that I was only able to hold them in my hands briefly, and that I could not keep them with me forever. And that is okay. I am allowed to feel that way, no one can take away the time I did spend with them or make me question whether they counted as real. My love was real, my pain was real, my heartache is real. 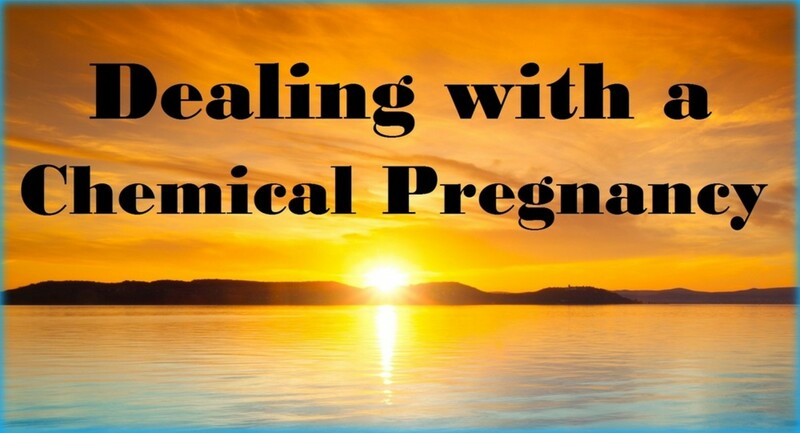 In my pregnancy experience after loss, every pregnancy symptom felt reassuring. Hyperemesis Gravidarum (nonstop nausea/vomiting for my entire pregnancies, in my case) was looked at by my relatives and friends as an inconvenience, a nuisance. “Can’t your doctor prescribe something…” and “Can’t you just sleep upright in a chair…” etc. Because I hadn’t thought to ask a medical opinion <insert eyeroll here> or sit upright when laying down makes me nauseous. EVERYTHING makes me nauseous when I am pregnant. I live on pedialyte popsicles in gingerale (I’d tell myself it’s a virgin Sangria). However, what to observers inspires commentary of “I don’t know how you live like that…” or “Isn’t there something you can do…,” is a day in which I feel reassured. I am reassured that my pregnancy symptoms persist, which makes every day feel like a milestone. It is a double edged sword. In my case, a couple of hours without those familiar pregnancy symptoms had the potential to create anxiety and panic attacks. I once slept through the night, for the first time in 6 months, without waking to pee/vomit/massage a foot cramp. My reaction should (in theory) have been one of “I feel so rested!” but was instead a reaction of immediate panic. 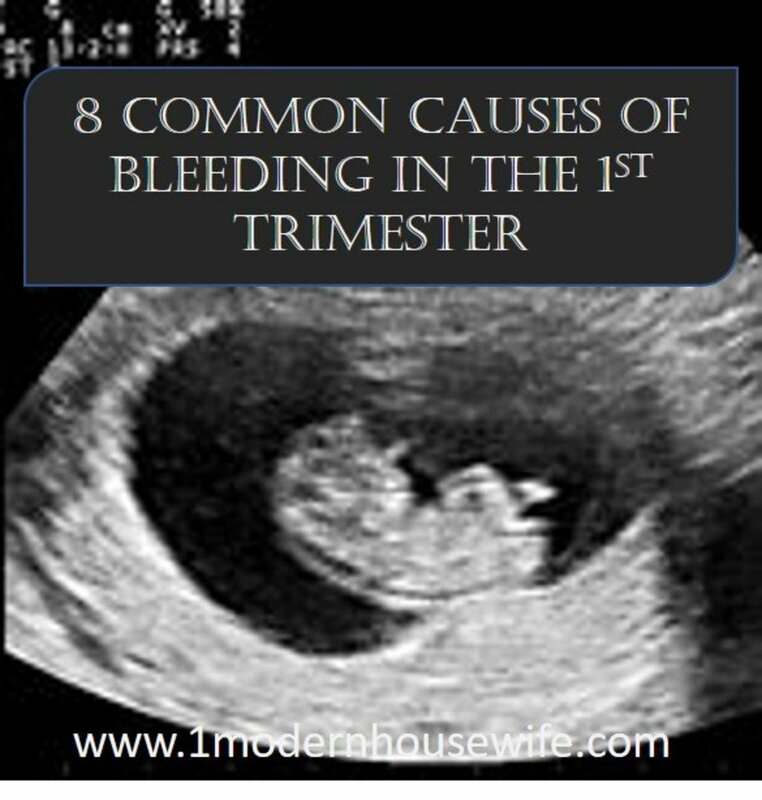 Thoughts of “I should call and schedule an OB appointment” and “I should go to an ER,” mixed with the fear of seeing blood every time I’d pee, to create a panic stricken me until the baby started kicking me in the stomach (and making me puke up everything I would normally have woken up to vomit overnight!). What for someone else might have been a long awaited night of restful sleep, was for me the source of a panic attack. I took my son swimming at the pool while 7 months pregnant. I wore a maternity swimsuit (tankini top, skirted bottom, no belly exposed). I was told by a woman in the locker room that I had never met before, “Oh wow, I’d never wear a swimsuit pregnant, good for you.” I was puzzled. Am I not supposed to be seen in public as a pregnant woman? What is different about being pregnant, versus not pregnant, and wearing a swimsuit to take my son to the pool? Was it a compliment from someone uncomfortable wearing a swimsuit if they’re not looking their best? (“Best” is subjective. for someone with infertility issues pregnancy feels like the peak of “the best!”) I caught my reflection in the window as we entered the pool, and thought “Yup, I definitely look pregnant” and was overwhelmed with a feeling of happy goosebumps. I had made it this far. I was still pregnant, and happily so. It surprised me how many people commented on my not posting maternity photos of myself on social media. I have some nice maternity photos I enjoy looking at, that I don’t want to share with the world. And that is okay. Noone is entitled to see any pictures of me that I don’t want to share with them. Would I want to post pictures online, for an automated Facebook reminder of a post from years ago to someday rip the bandaid off all over again if the pregnancy ends in loss? Would I want to post a picture for someone else to see months later, and have to explain why I was pregnant there and later might not have a baby to show for it? While I have had friends post seemingly infinite streams of baby bump selfies throughout their pregnancies, it is not something that would make me happy to do. I don’t need to explain myself to anyone, I don’t owe anyone pregnancy photos. It is not their body, their baby, their decision. If you want to see my baby bump that badly, make plans to see me in person, rather than trolling my social media for a picture (and feel free to bring me a decaf coffee!). 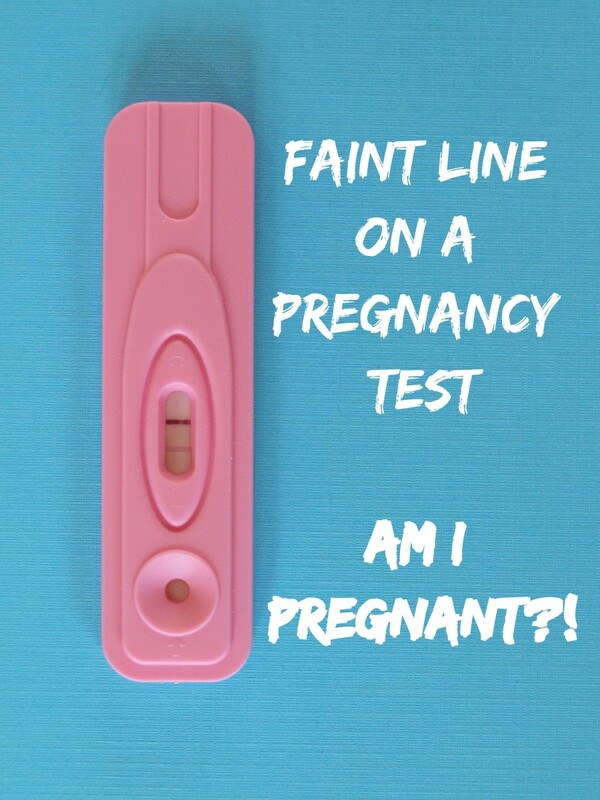 In my pregnancy after loss, my reaction to the positive pregnancy test result was not an immediately happy one. I was happy to be pregnant, but terrified that the test was in error, or that it would end in another miscarriage, or that the test showed positive but maybe my HCG levels have already come down from their peak and it’s only a matter of time before I start bleeding. The list of anxieties is infinite. I was afraid to be excited, out of fear of being disappointed later. Without my realizing at the time, it was not until I saw the baby’s heartbeat on an ultrasound that I truly allowed myself to be excited about it. I was told multiple times by assorted relatives/friends/coworkers that I was not “excited enough” about a new baby. They had no idea where my mindset was, or that I was actually over the moon about being pregnant. I didn’t walk around asking people to touch my belly, and showing people ultrasound images; that doesn’t mean I wasn’t absolutely delighted with being pregnant. Years of expensive, exhausting, painful, fertility treatments had resulted in another baby on the way. I was a bundle of equal parts anxiety, fear, excitement, and happiness, which had the combined outward appearance of indifference. And I realized, it was nobody’s business but my own, I didn’t care what they thought. I’d had years of driving 2 hours away for ultrasound/bloodwork appointments, 2-3 (sometimes 4-5) times per week. Leaving my house at 3:45am so appointments could be scheduled early enough that I could be at work on time without the added pressure of family/friends/coworkers knowing. I had an egg retrieval procedure on a Friday I took off of work, so I could recover enough to return to work on Monday without coworkers knowing why I’d been out. I used up my vacation days to have fallopian tube dye studies, MRIs, ultrasounds, and a list of other tests so long it makes my head spin. Then to lose a baby once you finally find out you are pregnant, was beyond my comprehension. To be pregnant again after more testing, medication, procedures, and appointments was both thrilling, and terrifying. 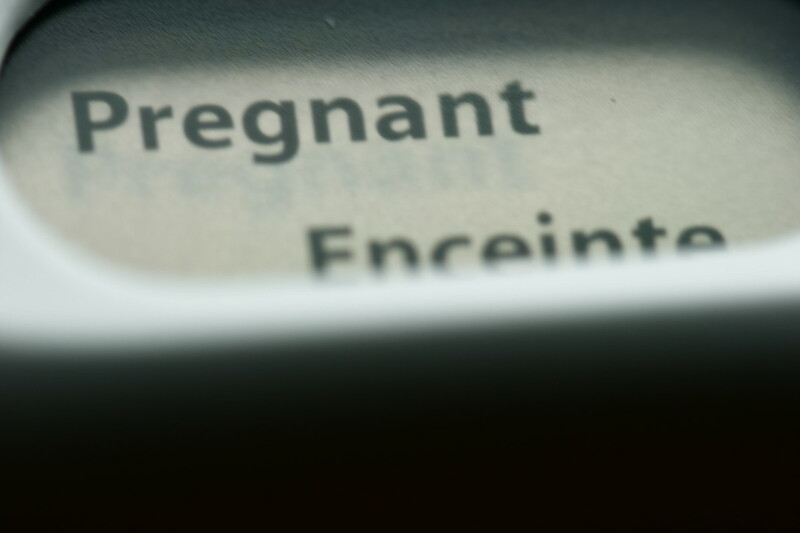 I was afraid of disappointing myself and my husband if I had another miscarriage. I was afraid of feeling like a financial burden, if the costly fertility treatments worked in establishing a pregnancy, only for another miscarriage to follow. I was afraid of having to start over and begin the process again. I was afraid that given the choice to start over yet again, my husband and I would decide we had tried enough, and give up on having a second child. 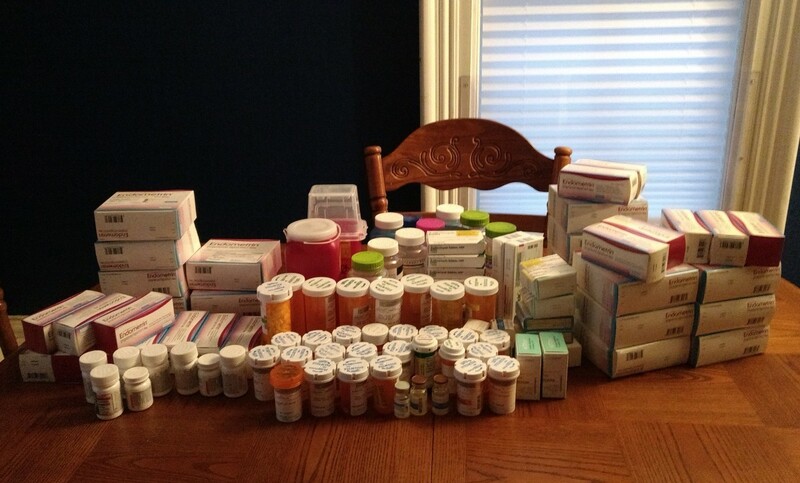 My meds (minus one month I had already recycled the packaging of before thinking to save for a "group photo") from the infertility treatments to get pregnant one time. While it has always been meant as helpful, the use of “remember what happened last time” has never been helpful to me. Family and friends looking to help do something, that inserted the comment “remember what happened last time,” had found just the right button to push to unknowingly enrage me. Of course I remember what happened last time, I had a miscarriage. It wasn’t because I drove a car instead of riding as a passenger. It wasn’t because I went to the grocery store. It wasn’t because I cooked dinner. It wasn’t because of anything I did. I so often wanted to respond things like “I do remember what happened last time I washed laundry. It resulted in clean laundry.” I know it was meant with the best intentions, by people looking to help me. It felt however like a verbal slap in the face. I needed to realize and accept that they are not insinuating that my miscarriage was my fault, they are instead offering their assistance for <insert task here>, as it might be all they can think of to help with at the moment. My response to pregnancy after loss was to make lists. I have always been a list-maker, but for nesting my list-making went into overdrive. Rather than preparing the physical space, I prepared the items/tasks needed, and made lists of when to do them. I had the baby clothes ready to put in the dresser, but were packed in a bin in the closet instead. It was an item on a list for hubby to do when baby came home. If we didn’t come home with a baby, I wouldn’t be unpacking a dresser of clothes. I wanted to be prepared to bring home a baby, but I was afraid of having to put things away if we did not. 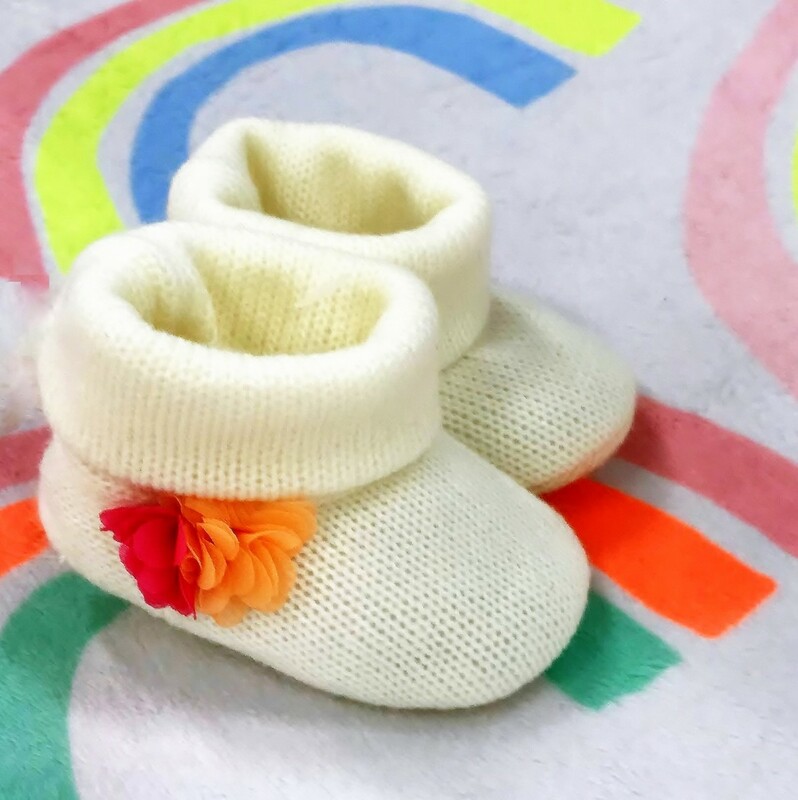 While some might find comfort in looking at baby supplies while they are pregnant, It caused me more anxiety than it was worth. I made sure the supplies were all ready and easily accessible, but did not put the diaper bag at the door, the bassinet at the bedside, or the bounce seat in the living room in advance. I setup all of the items requiring assembly, but stored them out of sight. That was my choice, despite friends/relatives commentary that we should have everything out and ready months or weeks in advance. In the end, it is not their home, their baby, their decision. In my pregnancy after miscarriage, I paid more attention to self-care. Physically and emotionally, it was important to me to do something for myself once in a while. So much of pregnancy feels like it is about the baby (because it is! ), but you need to take care of yourself too! In previous pregnancies, I remained active, taking walks after work. I’d listen to an audiobook on my walk, and feel better after. In my pregnancy after loss, I continued taking walks as well, but added a few “just for me” activities to the mix. I scheduled in advance, one day per month that I am out of the office. I scheduled my OB appointments, and on the same date, I schedule a chiropractor visit before, and a pre-natal massage for after the appointment. (I was lucky to find a spa that offered half price massages on Mondays, so I scheduled all of my appointments to fall on Mondays!) I tried to look at my OB visit days as self-care days. Once per month, I have a day that is about making me feel better, not just about making sure my body is working correctly. More than anxiously awaiting another chance to hear baby’s heartbeat, be weighed/measured, wait for urine/blood test results, and sit in a waiting room of women there for their 6-week postpartum visit with newborns cooing and rocking. My appointment days were now days to look forward to, as I knew I would feel relaxed, sleep better, and feel better (for days to come). 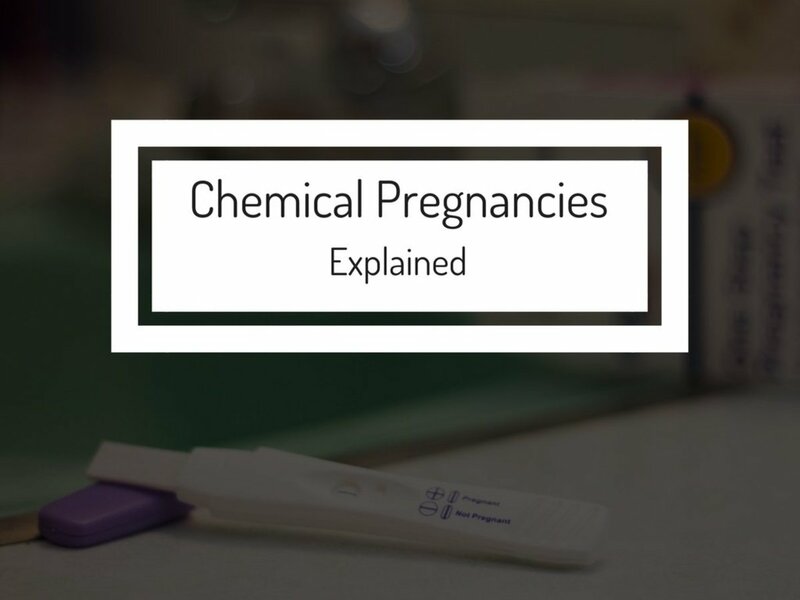 What Is a Chemical Pregnancy and Is It a Miscarriage? 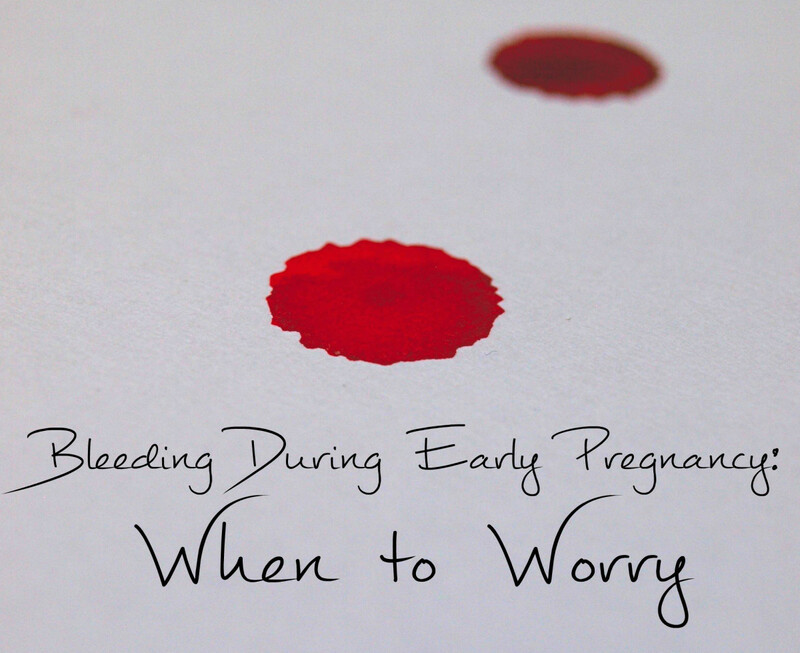 Bleeding or Spotting in Early Pregnancy: Should I Be Worried? I'm glad you've had a pregnancy after miscarriage and hope your baby is great. I had a miscarriage five months back and been trying to conceive since then. Maybe I'll be able to relate better with the experiences shared in this hub when I finally do.